Result: More than 2 in 3 dealers said they close at least 2 deals a month with consumers who first contacted their dealership via chat. 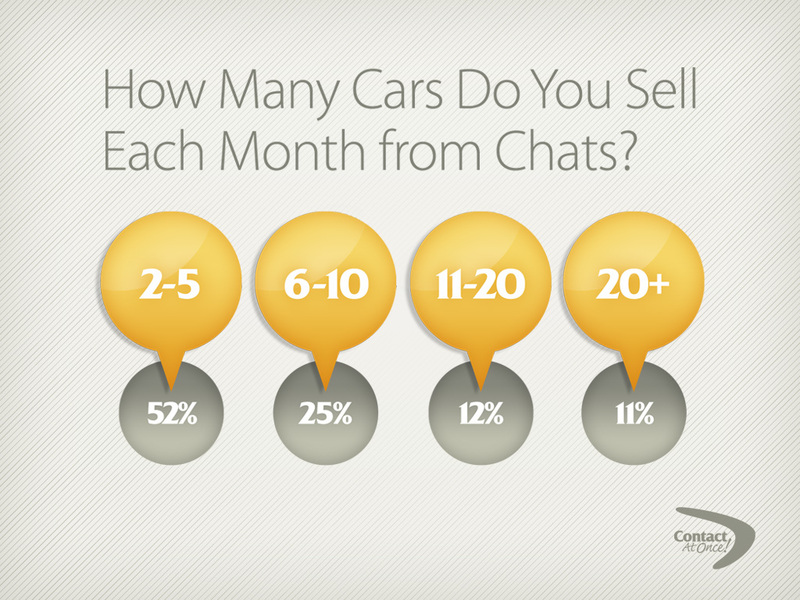 Of those, half say they sell 6 or more cars per month and more than 10% report selling 20 or more cars per month to shoppers who originally contacted their dealership by chat. When asked to rate how they feel about recommending chat as a “sure way to sell more cars,” the majority said they would. Where Do Chats Come From? Result: Users say they get chats from a variety of sources. About 60% report chatting on dealership websites and about the same number receive chats from the top three online ad sites. Regional classifieds, social media and others made the list as well, illustrating the benefit of having chat in many locations. Online shoppers get around when they’re looking for cars. The more places you chat, the better your chances of connecting with a potential buyer. Many Contact At Once! users get chats from at least a dozen different websites. Do I Really Need to Use Chat? Result: Contact At Once! data consistently show that dealerships experience a conversion lift of 25% or more when they implement chat on websites that have previously only invited contact by email or phone. Some users did say they don’t consider chatting mandatory, but on the other hand, almost half gave it the highest ratings as a must-have sales tool. 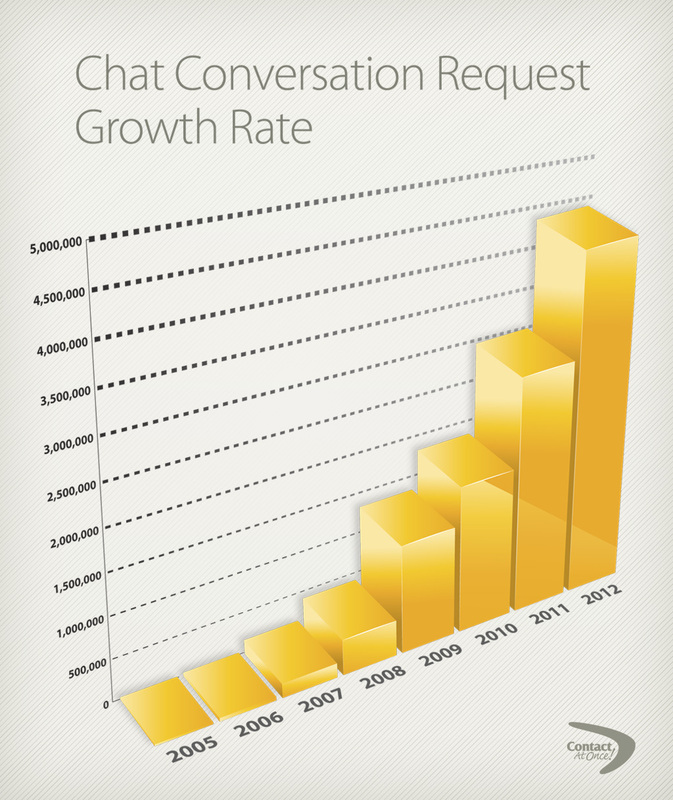 Can Chat Give You A Competitive Advantage? Result: Looking to stand out from the crowd? Chat may be just the thing. Most Contact At Once! 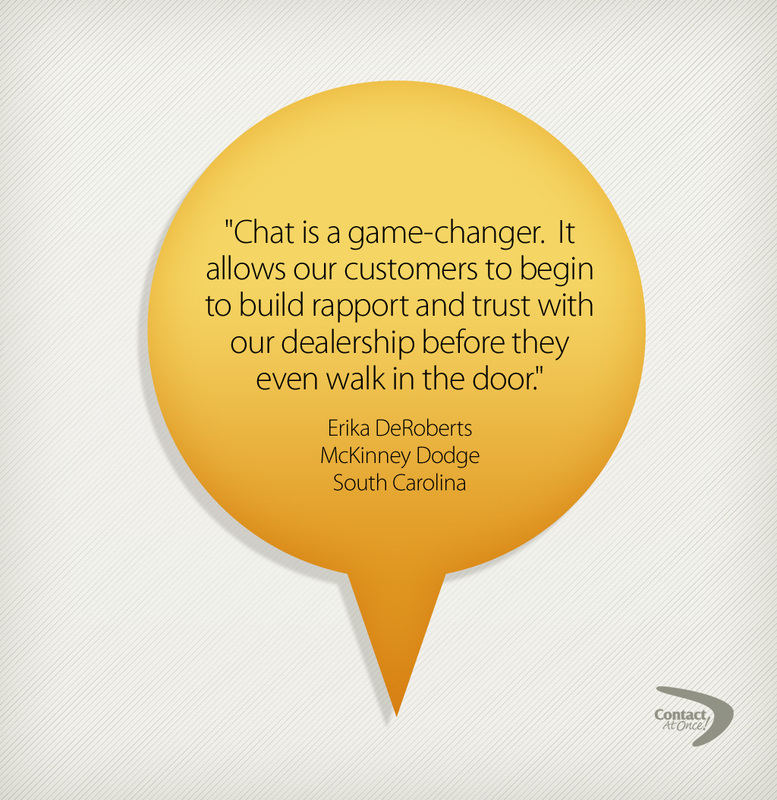 users said they believe chat gives them a competitive advantage. Internet sales and BDC staffs feel even more strongly about chat as a differentiator, with almost 2 in 3 giving it the thumbs-up as a means for getting a leg-up on competitors. Go forth and chat! According to the latest statistics from Dealerchatmarketshare.com, adoption of chat on dealership websites continues to grow, with over 20% of all dealerships now utilizing the product. If you’d like to find out more the Contact At Once! survey, visit autodealerchat.com. We’re killing it on chat!!! Great to hear Jake. It’s rare to hear a dealer that’s working chat (best practices) to say any different. I have 3 sales reps assigned to chat from my website to Autotrader and Cars.com. Needless to say they are consistently in my top 5. Big believer in offering a chat button in every email response to your customers especially the first response. Used it often in the past week. Quick and effective, if there is follow through. Ton, thanks for sharing…good post that I’ll be passing on. Live chat is awesome if it’s really live. It’s really pathetic if it’s a chat robot. More proof that it is part of the future of the car business. You have to jump on board or be left behind. They’re either chatting with you or texting….hmmm..texting……..